Celebrate Asheville&apos;s Spooky Side This Halloween. Looking for some spine-tingling adventure in Asheville this Halloween? Check into these fright-night adventures taking place all week long. 1. 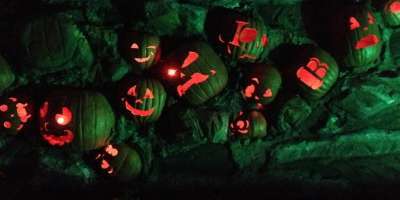 Stingy Jack’s Pumpkin Patch - A never-before seen fall festival featuring Stingy&apos;s Illuminated Pumpkin Trail, an unbelievable trail created by local artists. The creative pumpkin displays light up when the sun goes down. Wander through Stingy&apos;s Spooky Town Trail or hop on Stingy&apos;s Enchanted Mystery Hayride. Food vendors are abundant and offer delicious harvest treats. 2. Haunted Historic Homes Walking Tour - On Friday and Saturday evenings, October 26th and 27th, in conjunction with the Swannanoa Valley Museum, various homes in the Dougherty Heights Historic District of Black Mountain will open their homes and host a ghoulish walking tour to share the intriguing histories (and resident ghost stories) associated with each property. 3. LaZoom Haunted Comedy Bus Tour - Get on the bus after dark and explore Asheville&apos;s strange and sordid past with LaZoom. It&apos;s LaZoom&apos;s funny adult-only version of a haunted tour. Don&apos;t worry, it&apos;s not too scary, it&apos;s mostly funny. Bring a camera because you&apos;re GUARANTEED to see a "ghost" and totally freak out. 4. Grove House Ghost Hunt - Joshua P. Warren, author of Haunted Asheville and star of the Travel Channel&apos;s new TV series, Paranormal Paparazzi, will personally host this ghost hunting adventure in the 1924 Grove mansion! You will tour each nook and cranny of the building and then form groups to be stationed in various parts of the rambling, cavernous mansion. He will provide some tools for investigation that night, like EMF meters, dowsing rods, and laser grids. They implore you to bring your own tools like flashlights and a compass. 5. 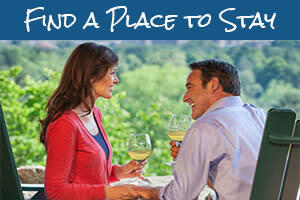 Asheville Ghost Tours - Choose from one of three 90-minute walking tours. The interactive Downtown Ghost Tour which uses ghost-hunting equipment and guarantees paranormal photographs, the Haunted Montford Stroll featuring haunted inns and homes, or take the Ghost and the Graveyard Tour which explores the final resting home of Thomas Wolfe and O&apos;Henry. 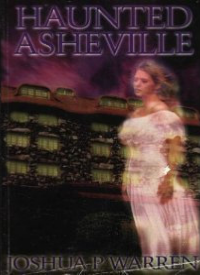 The Ghost Hunters of Asheville present these walking tours that feature authenticated stories of the spirits who wander around Asheville. 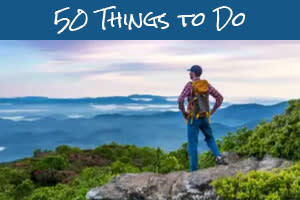 Check out these other events happening around Asheville this week.